Collaborate with decentralized teams, dealers and other channel partners to deliver mutual marketing success. BrandMaker offers a self-service portal to tailor marketing activities to local needs. Distributed Marketing is a strategy that uses a network of distributors, wholesalers, franchise partners and sales agents to promote, sell and deliver products and services. With distributed marketing you integrate the brand into the local community and you collaborate to create new opportunities and drive revenue. The best Distributed Marketing software, also known as Through Channel Marketing Automation (TCMA), Local Area Marketing (LAM) or Partner Relationship Management (PRM), empowers you to unlock local expertise while protecting your brand and budget. 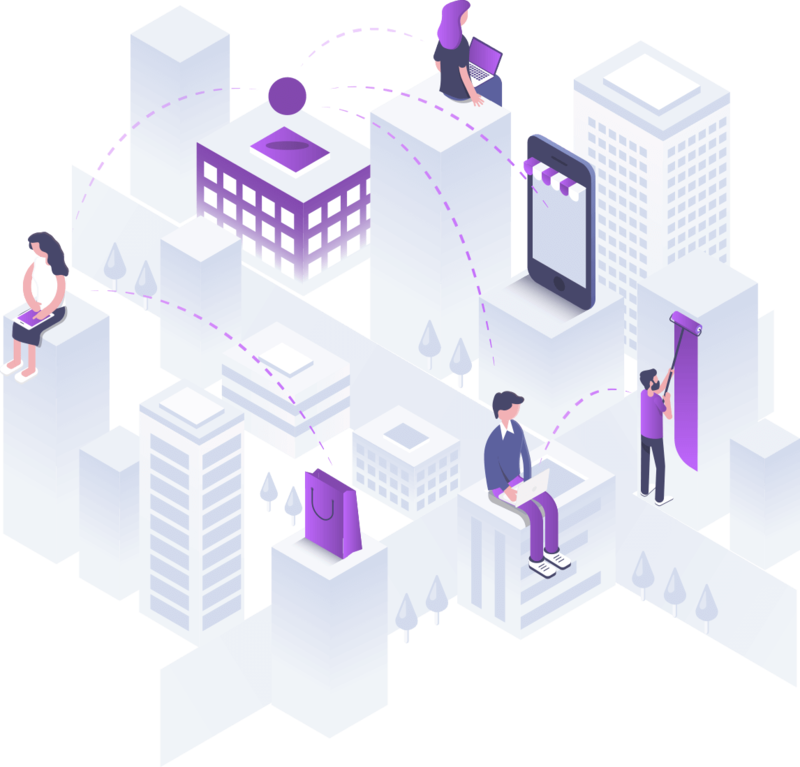 Improve the communication with decentralized teams and partners, and provide access to all things marketing with single sign-on. Smoothly guide portal users to the campaign assets they need, using a configurable pinboard and smart routing. Then allow them to adapt and localize material for local relevance. Quickly access a pool of approved marketing assets and up-to-date campaign information. Self-service templates reduce agency costs by providing content with just a few clicks. Share how local best practices drive success and bundle content for further local processing. Simply start with a central marketing portal and add functionality to share assets, customize content, localize product information and to organize on-demand marketing fulfillment. Centralize and streamline Digital Asset Management for channel partners. The LAM portal is the access point from which you can efficiently manage, organize and share marketing content in the right format for every channel. Adapt marketing material to local markets. By putting self-service online templates in the hands of business users, creative development workloads and agency costs can be significantly reduced. But even more important, it enables more effective buyer targeting with highly tailored/localized print or digital content. Offer accurate product information like size, weight or any other dimension in the local metric in an output-neutral format. Linking local product information to self-service creative templates, allows the production of localized advertising material with a much higher level of automation and cost efficiency. On-demand marketing fulfillment to supply marketing material for staff, affiliates and partners quickly, easily and transparently. The mobile DAM app that gives field teams, channel partners and sales reps the most relevant marketing assets within seconds. One calendar to schedule campaigns, plan budgets and monitor results for everyone in the marketing supply chain. Give your partners access to templatized brand assets so they can create efficient localized brand messages without the need for briefings or supervision. Reduce administrative friction by providing one central point for coordination, creation and approval processes.